Rated #1 Campground in Maryland by Reader’s Digest! 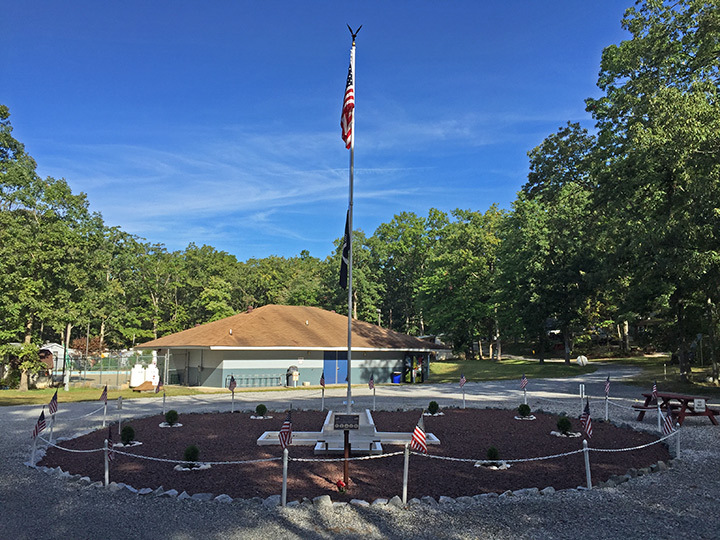 Established in 1974, Woodlands Camping Resort is located in the heart of the Elk Neck State Forest and is open year round for transient camping. Our season runs from April 1st to October 31st, and we have many events and activities during this time that are setup by our entertainment committee. We maintain a family atmosphere and would love to have your family join us for a weekend! At Woodlands we are committed to honoring Veterans who have served to protect this great nation of ours. We have an area which we call Veterans Circle. It is maintained by Veterans who are campers here. Each Memorial Day we hold a special memorial service at the Veterans Circle. © Woodlands Camping Resort. All rights reserved.